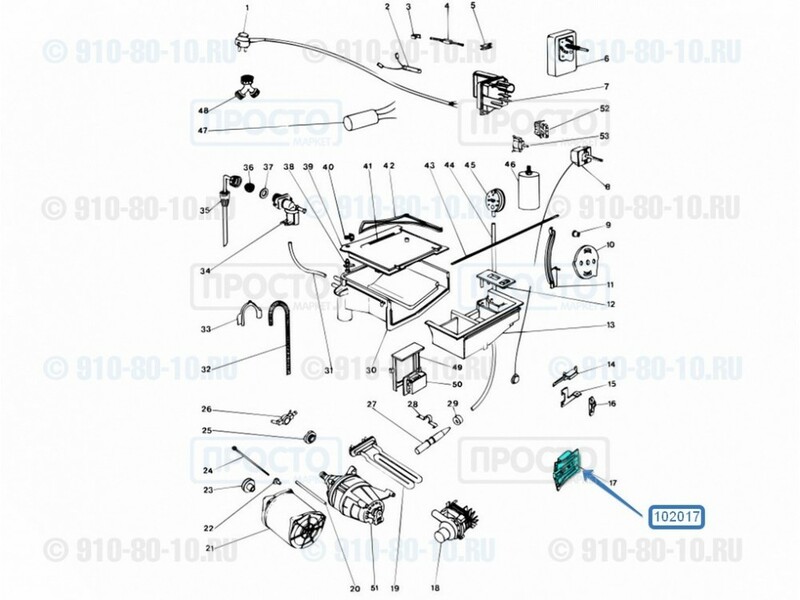 Замок люка (УБЛ) стиральных машин Indesit, Ariston, Whirlpool.Устройство блокировки двери с фронтальной загрузкой. 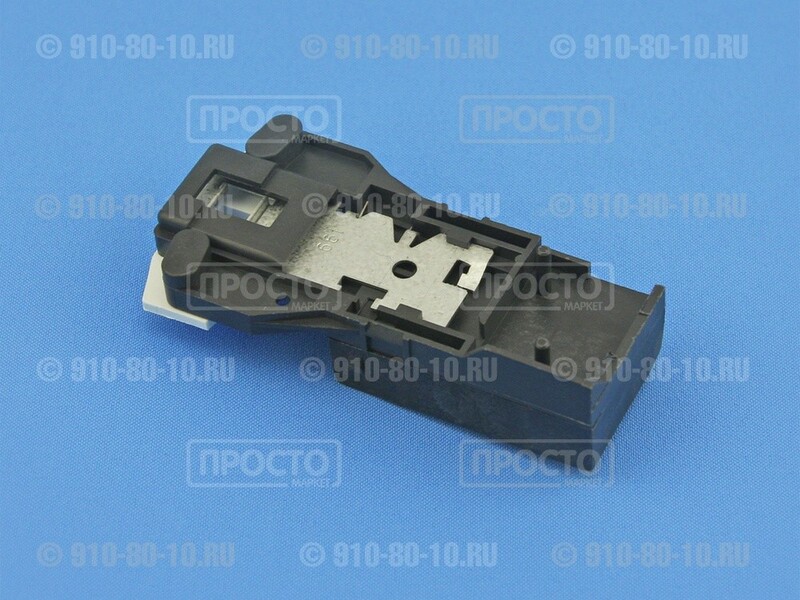 Подходит для моделей:LB476STFR, AV632TXIT, AI637TIT, AI637TXIT, AI648TXIT, AI848TXIT, AS522TXIT, AS637TXIT, AS848TXIT, AS520TXIT, AS521TXIT, AI631TXIT, AI630TXIT, AV637TIT, AV637TXIT, AR670TIT, AR670TXIT, AR870TIT(3B), AR870RTXIT(3B), AR680TIT, AR680TXIT, 760TXIT, ARC658TXIT, ARC670TXIT, AR668TXIT, AR68TXIT, AR646TXIT, AR698TXIT, ARC68TXIT, ARC646TXIT, ARC698TXIT, ARC870TIT, AV63TXIT, AI646TXIT, AI649TXIT, AS63TXIT, AS636TXIT, AS639TXIT, K-LB6T(B)IT(MG), K-LB6T(N)IT(MG), K-LB8TXEU(MG), K-LB8TX(B)EU(MG), K-LB8TX(N)EU(MG), AW1120GB, AW821GB, AV824UK, AI837TUK, A811GB, AW1150GB(W), AI1247UK, AV827UK, AV1244UK, AW851GB(W), A615GB, CW810UK, AW851GB(S), A846GB, AW1150GB(S), AW820GB, A878BEAB, 1258CDGB3BIS, 1258CDGBBEAB, CD823GB, 958CDGB3BIS, 880WDGB3BIS, 900CDGB3BIS, 1258CDAUTODRYGB, 1218CDEGB3BIS, 898CDGB3BIS, K-LB8TUK(MG), K-LB8T(W)UK(MG), AR658TXPT, LB618XTCL, I-LB8TX(B)ESOLD, AR658TE, AR670TE, AR870TXE, ARC658TXE, LB474LNL, WL475TENL, AR476TXNL, AR2895XTENL, AR3295TXNL, AR1278TXNL, LB484SNL, LB1695TENL, LB886ENL, WL875NL, LB1895XENL, LB878ELNL, WM600TXDENEU, WM800TXDENEU, WM810TXDENEU, WM1170TXDE, WM1170CDXDE, AV837TXDE, AV857TXDE, AV1257TXDE, WM4DENEU, WM413DE, WM826DE, WM8XDENEU, VOG8TX(B)FRMG, CUIS8LL, AR678TFR, AR434PBFR, AR658TFR, AR1290TFR, AR870TXFR, AR1160CDFR, AI533BSFR, AI533FR, AI638TFR, AI858TFR, AI1247TFR, AV528FR, AV537FR, AV633TFR, LB447SFR, LB445SFR, LB455SFR, LB455PBFR, LB648STFR, LB676STFR, AV637TX/1SKOLD, AR413SE, AR525TCH, AR575TCH, AV1147TX/1SKOLD, AR658TBE, AR658TEX, AR670TEXZN115/60, AR670TCL, AR658TXHCGR, AR658THCGR, AR658TZID, AR658TKW, AR658TXEX, AR670TXSE, AR658TXCH, AR858TBE, AR858TXBE, AR870TXEX, AR870TXSE, AR1170TXCHCONV, AR1270CDXSE, LB618STBE, LB475SFI, LB678STFI, LB878XTFI, AR618TEGCKD, AI637TX/1E, AI848TX/1E, AV637T/1E, AV848TX/1E, AV1233TNL, AV1233TXNL, AV1238TXNL, WL675TENL, AI634TXPT, AI648TXPT, K-LB8TX(M)IT, K-LB8TX(B)IT, K-LB8TX(N)IT, K-LB6T(M)IT, K-LB12TX(B), LB878STBE, A817UK, A1217UK, K-LB12T(BWN)UK, K-LB12T(W)UK, I-LB8TX(M)ES, WM400XDENEU, VOG8TX(M)FR, AI834TUK, LB484LXNL, LB886LXENL, AV848TBE, AV848TXBE, AI634TXHCGR, LB476STEX, MLI1200ANOLD, MLI1200WHOLD, MLI1200AN(240V), MLI1200WH(240V), AI635TXIT(NEW), AS631TXIT, W663WL, P44PHILCOIT, C450CROSLEYIT, P45TPHILCOIT, C450TCROSLEYIT, AR1268TXNL, LB434SNL, LB474SNL, LB836ENL, LB865NL, LB818STBE, AR453NL, AR1270TXNL, AR2180TXNL, AR888TXNL, W425SDE, AR434FR, A848BEAB, WM8XDE, VOG8TXFR, VOG8TX(B)FR, WM600DE, AR670TXPT, WM800DE, WM4DE, AQ800GB, WM8TXDE, ARC670TXE, A836IE, AR466TXNL, AR2895TENL, AR876ELNL, AR1800TENL, AR870TXZID, 958CDEX3BIS, LB1495TENL, LB1895ENL, WM400DE, A810GB, A836GB, A1146GB, 890CDGB3BIS, 948WDGB, 890CDGB, 898CDGB, 900CDAUTODRYGB, 958CDAUTODRYGB, 1218CDEGBBEAB, A826GB, AR870TIT, LB420GB, A636GB, 958CDGB, LB626SIE, CXD750GB, WL475SNL, AV634TEX, AV637TEX, AI848TXHCGR, WDN966WG, WDN2196WGOLD, WDN866WFOLD, WDN2096WF, WDN896XWIOLD, WDN2296XWO, WDN2100XWSK, WDN2101XWSK(CONV), AV4258TXENLOLD, AV3837TXENL, LB1495ENL, AV1243U.K., AV532TXCH, AV632TXCH, AV637TXCH, AV1247TX/1SKCONV, AI1247TXTR, AV833FR, AI637T/1, AI637TX/1, AI648TX/1, AI848TX/1, AI630TX/1(G.D.)OLD, AI635TX/1, AI649TX/1OLD, AV637TX/1, AV530TX/1(G.D.)OLD, AV630T/1, AV630TX/1(G.D.)OLD, AV63TX/1, AS527TX/1OLD, AS637TX/1OLD, AS848TX/1OLD, AS520TX/1(G.D.)OLD, AS630TX/1(G.D.)OLD, AS639TX/1OLD, AS636TX/1(GET)OLD, AS63TX/1OLD, AI1233TNL, AI1237TXNL, AI837MTUK, AI1247MUK, IW1070XD, IW1270XD, IWT2270XD(*)O, AV522/1EX, AV532T/2EX, AV532TX/1EX, WDN966BG, AV4237TENLOLD, AS635TXOLD, WM10TXDE(COLSTON), AV837TXSK, WN880XWO, W800XWPEOLD, W600WPEOLD, WN1080XWO, WN1280XWO, WN853XWO, WN1053XWO, WN1253XWO, WE800WO, WE1000WO, WE1200WO, WN802XWSK, WN1000XWSK, WN1001XWSK(CONV. 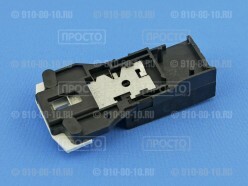 ), WN1200XWSK, WN1201XWSK(CONV. 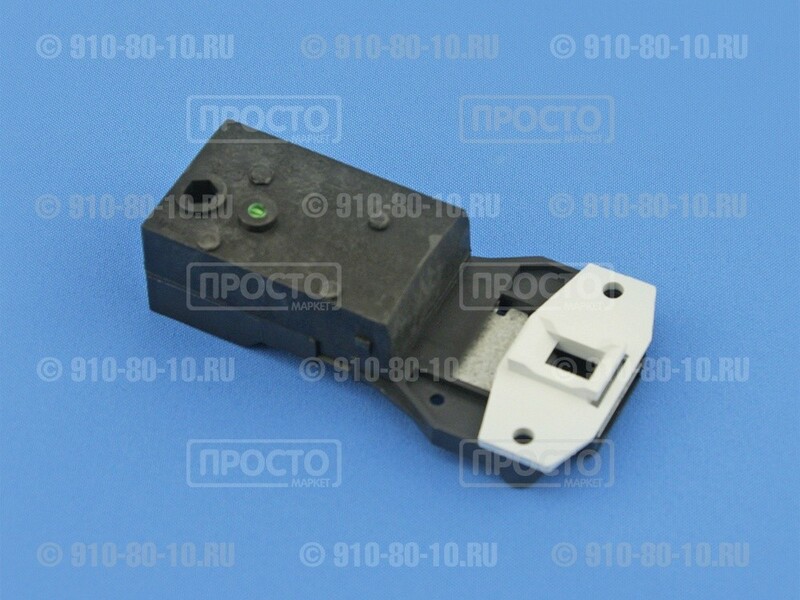 ), AV637FR, AV637BSFR, WN1096WG, WN1096BG, WN1299WG, WN1196WG, WN1196BG, WN1296WG(*)O, WN1080WG, AR1078TXNL, AI1235TENL, AI1236TXNL, WL875TENL, AV4036TNL, WM4DECOLSTON, WM8XDECOLSTON, WM8TXDE(COLSTON), WN1097WF, WDN1079WG, MLI1200X., WN1057WFOLD, WDN2066WF, L1525(FAR), L1592(FAR), WM414DE, WM828TXDE, WM1028TXDE, WM1228TXDE, AV938TXDE, AV958TXDE, AV1258TXDE, WA1060ELECT., WA1260ELECT., WA85X, WA105XOLD, WA125XOLD, WA81E, S-LB6T, AI847MTUK, AI1257MUK, WDN2196XWE, AI848TXRA, AI858CTXRA, AI634TX/1HCOLD, AI634TX/1PT, AI648TX/1PT, AI848TXPT, AI858CTXPTOLD, AV648TXPT, AV848TXPT, AV637T/1EX, AV638TEX(220/60), AV638TEX(115/60), AV638TEX(240/50), AV637TCL, AV848T/1BEOLD, AI637TXPT, K-LB6T(BR)OLD, K-LB6T(WH)OLD, K-LB6T(BK)OLD, K-LB8TX(BR)OLD, K-LB8TX(WH)OLD, KLB8TX(BK)OLD, K-LB12TX(BR)OLD, K-LB12TX(WH)OLD, WL1075TXENL, WL475TLENL, WM616TDE, WM1026XDE, AV1037WUK, AI1047MTUK, K-LB121(WH)UKOLD, K-LB121(BR)UKOLD, AV4036TLNL, AV631FR, AV631BSFR, AV635TFR, AV835TFR, AV1045TFR, AV1246TFR, AI848TXHCGR/1, VOG8TX/1(B)FR, VOG8TX/1(M)FR, IN-WMS6T, AV1048TEX, AV1048TXEXOLD, WDN2067WFOLD, WM828TEDE, WM1028TEDE, WM1228TEDE, WD1279TXDE, C450, WA1065OLD, WA1265OLD, AI68TX, AS68TXOLD, OKOMAT400, OKOMAT850S, OKOMAT1000S, WD2260OLD, K-LB12TX(BK)OLD, AV938TX, AV835UK, AV839UK, AI1457MTUK, WN1063WG(*), AV635TBSFR, AV835TBSFR, WN461WF, WN440WF, WN500WF, WN550WF, WN561WF, WDN867WF, WN450WF, WN650WF, WN661WF, WN830WF, WN861WF, WN891WF(*), AV535TFR, AV735TFR, IW1071XD, IW1271XD, AV639TDE, AV839TXDE, AV1049TXDE, AV1259TXDE, AV1459TXDE, WM8TNL(COLSTON), WM10TNL(COLSTON), AI1049TXNL, AI1259TXNL, AI1459TXNL, WM826TXDE, WM1026TXDE, WM616TEDE, AV537TXE, AV637TXE, AV1257TXE, W600BPE, W800XBPEOLD, AF553TEOLD, HL600T, HL800CT, AF552TENL, AF652TENL, AF883TENL, AF1083TENL, ECW850, ECW1000, ECW1200, ECW1400, AI637TXHCOLD, AV522(SKD), AV532T(SKD), AI637T(SKD), WN1057WOOLD, AV526TX(GET), AV636TX(GET), AS526TX(GET)OLD, AV4459TENL, S-LB12TXDE, AF552TU, AV537TU, AV537TXU, AV637TXUOLD, AI848TXUOLD, AS637TXU, WDN2296XWUOLD, WG2020WG, WG1085WG(*), WG1185BG, WG1185WG, WG1285WG, WG1385WGOLD, WDG985BG, WDG985WG, WDG1095WGOLD, WDG1195WGOLD, AB426TXIT, AB436TIT, AB436TXIT, AB536TIT, AB536TXIT, AB636TXIT, AB646TXIT, AB846TXIT, W848TDE, W1048TDE, W1248TDE, W1258TEDE, W1458TEDE, WM838TDE, WM1038TDE, WG420TI, WG421TXI, WG432TXIOLD, WG433TXI, WG630TXIOLD, WG631TXI, WG834TXIOLD, WGD835TXIOLD, WGS434TXIOLD, WGS632TXI, WGS633TXIOLD, WG930TXD, WG1030TXDOLD, WG1230TXDOLD, WGD1130TXD, WM6TDE, WG1185BG/1, WG1185WG/1OLD, WG1285WG/1OLD, WDG985WG/1OLD, WG1180XD, WGD1230TXOOLD, WG1031TXOOLD, WG1231TXOOLD, WG1431TXOOLD, IN-WMS12TXDE, WDN896XWEOLD, WN840WF, AB846TXTK, BA48TXGRIT, BA58TXGRIT, BA68TXGRIT, BA46TXGEIT, WN1263WG(*), WDN2196XWE/1OLD, AB936UK, AB1036UK, L1593(FAR), BA45TXCOIT, BA65TXCOIT, BA47TXEUIT, BA67TXEUIT, BA43TXECIT, A-1072, A-2672, AD10IT, AD10UK, WG430TXEIOLD, WG635TXEIOLD, WG43TXGIOLD, WG63TXGIOLD, WG1031TXEUOLD, WG1231TXEUOLD, WGD1230TXEUOLD, AB636TFR, AB846TFR, AB846TBSFR, AB946TFR, AB836TXBE, AB1046TXBE, WA145X, WAD3300X, WG625SK, WG835TSK, WG1035TXSKOLD, WG1235TXSKOLD, WGD1135TXSKOLD, AS637TXEO, AS848TXEO, WG431F, WG422TF, WG522TF, WG632TF, WG831F, WG931TF, WG1031TFOLD, WGD833FOLD, WGD834TF, WGD1033TFOLD, WG620GOLD, WG830TGOLD, WG420P, WG424TP, WG432TXPOLD, WG636TXPOLD, WGD1133TXPOLD, WG420E, WG422XE, WG424TE, WG426TXEOLD, WG622TE, WG636TXEOLD, WG824TE, WG836TXE(OLD), WG838TXE, WGD833TXEOLD, WGD1133TXEOLD, AB436TPT, AB436TX.2PT, AB636TX.2PT, AB846TXPT, AB422T.2E, AB423TX.2E, AB635.2TXE, AB845TXE, AB1047TXE, WG1036TO, WG1236TO(OLD), WG420U, WG421TU, WG421TXU, WG622TU, WG633TXROLD, WG834TU, WG835TXROLD, WGD836TU, WGD1236TXROLD, WG420S, WG421TS, WG421TXS50/60OLD, WG420T, WG422TT, WG624TS, WG624TXSOLD, WG635TS, WG623Z, WG837TXSOLD, WMS6T, WMS8TX, WMS12TX, WN1064WO, WP830TTK, WP831TXTK, WP1030TTK, WP1031TXTK, AB943TXDE, AB1043TXDE, AB1243TXDE, AB426T.2EX, AB426TX.2EX, AB536T.2EX, AB536TX.2EX, AB636T.2EX, AB636TX.2EX, AB846TEX, AB846TXEX, AB1056TXEX, W40DI, W41TDI, W44TXDIOLD, W61TXDIOLD, WS46TXDI, WS62TXDI, WGS65TXGI, WGS637TXEI, AB426EX, WGD836SOLD, WGD1030TXSOLD, WN1263WG, IWT2270XDOLD, WN1063WG, WN1296WGOLD, WG1085WG, WN891WF, WDN1000WO, I-LB6TX(B)ES, WG431TI, WE1034WO, WE1234WO, WG1336TO, BA48TXGR/1IT, BA46TGEIT, WG530TI, AD10EU, WG421TR, WG421TXROLD, WG622TR, WG633TXR(OLD), WG824TR, WG835TXR(OLD), WGS636TXROLD, WG1031TXR, WGD834TROLD, WGD934TXROLD, WGD1035TROLD, WGD1236TXR(OLD), WG421TRA, WG521F, WG531F, WG822TF, ABS436TXIT, ABS536TXIT, ABS636TXIT, AB536TEX(240/50), AB636TEX(240/50), WGD1231TXDOLD, WG830TXDOLD, WG420TH, AB536TAG, MLI1200AN, MLI1200WH, AV4258TXENL, AV4237TENL, WA125X, K-LB12TX(BR), K-LB12TX(WH), WA1265, K-LB12TX(BK), WDN2296XWU, WA105X, WA1065, WDN2196XWE/1, WDN866WF, AS848TX/1, W800XWPE, AI858CTXPT, AV848T/1BE, K-LB8TX(BR), K-LB8TX(WH), KLB8TX(BK), WN1072WR, WDN896XWE, AI630TX/1(G.D.), AS637TX/1, AS630TX/1(G.D.), AS639TX/1, AS636TX/1(GET), AS63TX/1, AS635TX, W600WPE, AI634TX/1HC, K-LB6T(BR), K-LB6T(WH), K-LB6T(BK), AS68TX, W800XBPE, AI637TXHC, AV637TXU, AS527TX/1, AF553TE, IWT2270XD, WN1296WG, I-LB8TX(B)ES, AV637TX/1SK, AV1147TX/1SK, AF1083T/1UK, K-LB121(WH)UK, K-LB121(BR)UK, AV1048TXEX, WDN2067WF, WD2260, AS526TX(GET), AI848TXU, WN1060WG/2, WN1057WF, WN1057WO, WDN2196WG, WN463WI/S, WN462WI/S, AF554T/1IT, AF554TX/1IT, AF550TX/1IT(G.D.), AF546T/1IT, AF553/1FR, AF553BS/1FR, AF553T/1EO, AF561T/1EO, AF553T/1PT, AF653T/1PT, AF553T/1AG, AF553T/1EX, AF553T/1BSEX, AF561T/1EX, AF553/1EX, AF552/1EX, AF883T/1UK, AB946TXEX, AB436TX.1IT, AB436T.1IT, AB536TX.1IT, AB536T.1IT, AB636TX.1IT, AB823TXDE, AB1033TXDE, AB536T.2(GREY)EO, IW460D/S, IW860D/S, IW860XD/S, WM8TX.1DE(COLS), WM10TX.1DE(COLS), WN421WU/S, WN421XWU/S, WN404WO/S, WN464WO/S, WN864WO/S, W42TE, W62TE, W82TXEOLD, WD83XEOLD, AB526FR, AF1083TXBE, AF1283TXBE, BA46T.1GEIT, BA46TX.1GEIT, BA48TX.1GRIT, BA58TX.1GRIT, BA68TX.1GRIT, BA47TX.1EUIT, BA67TX.1EUIT, BA45TX.1COIT, BA65TX.1COIT, AV530TX/1(G.D.), WN462WE/S, WN463XWE/S, WN464WE/S, WN661WE/S, WN663XWE/S, WN845WE/S, WN860XWE/S, WN880XWE/S, WN464XWI/S, WN671XWI/S, WN421WS/S, HL428T, HL428TX, HL610TX, HL425, HL6T, W402WF/S, A-8701, BAMR600XP/S, AF551/1EX(240), BAMR400STPT/S, BAMR400PT/S, BAMR600PT/S, AB1036TXTK, AF552T/1EX(50-60), WG924GOLD, WG820GOLD, WP810TK, WG421TI, WG42I, WG525TXPOLD, WG838TXPOLD, WG1234TGOLD, WG1034TG, WG1030G, WG1130TG, WG1230GOLD, WG1430TGOLD, WDG1295WGOLD, AB846TXFR, WG1033TG, WG1233TGOLD, WG833GOLD, AB426TX.1IT, AB836UK, AB1036TUK, AD12UK, AD12EU, BAS608TXGRIT, BAS606TXGEIT, BAS605TXCOIT, BAS607TXEUIT, AB646TX.1IT, BA400, BA401T, ABS430TXIT, WG522TXUOLD, WGD836TXU, AB1450TXNL, AB1250TXNL, AB1040TXNL, LSE800Q, LRE400Q, LRI600Q, AD10SKD, WG421TS(50-60HZ), AB635TX.1E, AB423TX.1E, AB422T.1E, AB436T.1PT, AB536T.1AG, AB836TTK, WMS1200TX, WMS600T, WMS800TX, LB12TX, LB6T, LB6TX, LB8TX, AB1246TXBE, WG820TBE, WG1030TBEOLD, WG1230TBEOLD, MLTI1200, MLTI900, LB12TUK, W666TXIT, WG436TPIOLD, WG636TPIOLD, WG4PD, WG8PD, W405PWF, W406PDIOLD, W415TPDIOLD, WG425PIOLD, WG437TPEIOLD, WG435TPIOLD, WG535TPIOLD, W665TPI, WG1035TOOLD, WG1138TXOOLD, WG1135TOOLD, WG1238TXOOLD, WG1235TOOLD, WG1335TOOLD, WG1438TXOOLD, WG1431TXEUOLD, WG10TXD, WG12TXD, WG426TPFOLD, WG435PFOLD, WG525PFOLD, WG526TPFOLD, WG636TPFOLD, WG826TPFOLD, WG835PFOLD, WG935TPFOLD, WA1051X, WA1251X, WA1451X, WAD3301X, W445TPI, AB60FR, AB80FR, AB80BSFR, AF550TEO, WG1230(GH)GOLD, EWA1000, EWA1200, EWA1400, WG1033TGTOLD, WG1034TGTOLD, WG420PUOLD, WG421TPROLD, WG622TPROLD, WG824TPROLD, WG830TPGOLD, WG924PGOLD, WG820PGOLD, WG833PGOLD, WG1038TXEOLD, WG425EOLD, WG426TEOLD, WG526TEOLD, WG625TEOLD, WG836TEOLD, WG836TXEOLD, W43TXEOLD, W65TEOLD, WGS438TIT, WGS638TIT, WGS638TR, WGS438TR, WG425P(P)OLD, WG426TP(P)OLD, AB936AUS, WG810P(TK)OLD, WG830TP(TK)OLD, WG831TX(TK)OLD, WG1030T(TK)OLD, WG1031TX(TK)OLD, WG9(G)OLD, WG12(G)OLD, WG623P(Z)OLD, WG935TP(EX)OLD, WG1030(G)TOLD, WG1130T(G)TOLD, AF554TP(IT), AF553P(FR), AF553PBS(FR), AF553TP(PT), AF653TP(PT), AF553TP(AG), AF553TP(EX), AF561TP(EX), AF552P(EX), HL428TP, WG1031T.1(R), AF552TP(EX)50-60, AF553TP(EO), AF561TP(EO), AF550TPEO, AB536T(EO), WG432TXI, WG630TXI, WG834TXI, WGD835TXI, WGS434TXI, WGS633TXI, WG430TXEI, WG635TXEI, WG43TXGI, WG63TXGI, W44TXDI, W61TXDI, WG436TPI, WG636TPI, W406PDI, W415TPDI, WG425PI, WG437TPEI, WG435TPI, WG535TPI, WDG1095WG, WDG1295WG, WG1234TG, WG1233TG, WG1230G, WDG1195WG, WG1430TG, WG1033TGT, WG1385WG, WG1185WG/1, WG9(G), WG12(G), WG1230(GH)G, WG1034TGT, WG830TPG, WG924PG, WG820PG, WG833PG, WG620PG, WG421TXR, WG835TXR, WGS636TXR, WG633TXR, WGD1236TXR, WGD834TR, WGD934TXR, WGD1035TR, WG522TXU, WGD1030TXS, WG1031TXEU, WG622TPR, WG421TPR, WGD1135TXSK, WG625P(EX), WG935TP(EX), WG421TP(EX), WG620G, WG830TG, WG924G, WG820G, WG833G, W42TP(E)OLD, WH665TX(E), WH865TX(E), WG824TPR, WG420PU, WG1030(G)T, WG1130T(G)T, WG1035TX(R), WG1035TX(EX), WG1235TX(EX), WG1435TX(EX), WG1030TXD, WG1230TXD, WGD1230TXO, WG1031TXO, WG1231TXO, WG1431TXO, WG1231TXEU, WGD1230TXEU, WG1031TF, WGD833F, WGD1033TF, WG432TXP, WG636TXP, WGD1133TXP, WG426TXE, WGD833TXE, WGD1133TXE, WG421TXS50/60HZ, WG624TXS, WG837TXS, WGD836S, WGD1231TXD, WG830TXD, W82TXE, WD83XE, WG525TXP, WG838TXP, WG1030TBE, WG1230TBE, WG1035TO, WG1138TXO, WG1135TO, WG1238TXO, WG1235TO, WG1335TO, WG1438TXO, WG1431TXEU, WG426TPF, WG435PF, WG525PF, WG526TPF, WG636TPF, WG826TPF, WG835PF, WG935TPF, WG1038TXE, WG425E, WG426TE, WG526TE, WG625TE, WG836TE, WG836TXE, W43TXE, WG425P(P), WG426TP(P), WG810P(TK), WG820TP(TK), WG831TX(TK), WG1020T(TK), WG1031TX(TK), WG420P(OM), WG421TP(RA), WG421TP(OM)50-60, WG422TP(OM), WG623P(Z), WG635TP(EX), WG820TP(BE), W42TP(E), WG1286(G), LA68TXGRIT, AB846TX(R), WG736TP(F), WG735P(F), S800(UK), S1000(UK), S1200(UK), WG9P(G), AD8(EU), WG636TXE, W65TE, W405TX(U), AD12(BE), AB846TX.1(IT), WG1031TP(R), WG1033TP(G), WG1034TP(G), WG1030P(G), WG1130TP(G), WG1020TP(TK), AD7(IT), WG1436T(G), WG1386W(G), WG526T/1(E), AB656TX(EX), WG439TPS(IT), WG49TXS(IT), WG67TXS(IT), WG839TXS(IT), WG1030TP(BE), WG1037TP(F), WG1035TP(O), WG625P(F), WG434TX(R), W428TPZ(IT), W610TPZ(IT), WDG1095GH(G), S1200A(UK), WG834TXC(IT), WG835TXC(R), WG1035TXC(R), WG1035TXC(EX), WG837TXC(S), WG830TXC(D), W82TXC(E), WG838TXC(P), WG1038TXC(E), WG836TXC(E), WG831TXC(TK), WG1031TXC(TK), WG839TXSC(IT), AB936T(AUS), WG431TX(OM)50/60, WG634TX(OM), WGD1034T(F), WG1239TS(G), WG1286S(G), WG920P(G), AD12(AUS), WG1232TX(E), WG1236T(O)NEW, WG1436T(O), WG1239T(O), WG1439T(O), AB88X(IT), AB66(FR), AB637T(TK), WG937TP(F), WG633TXC(R), WG434TXC(R), AD12DSG(UK), WG1086(G), WG1030TX(DE), WG1230TX(DE), WG1430TX(DE), GA12TX(DE), GA8TP(DE), WGA1036TX(O), WGA1048TX(O), WGA1049TX(O), WGA1236TX(O), WGA1248TX(O), WGA1249TX(O), WG1237TX(FR), HL428TPP, WGA1036TX(BE), WGA1236TX(BE), W44(IT), W63(IT), WG426TP(IT), W43(IT), W53(IT), W63T(EX), W43T(EX), W63(EX), W43(EX), W43(FR), W63(SP), W432(PT), W435(TP), W43T(AG), W43T(EX)50-60HZ, W103T(TK), W53(SP), W63(FR), W94(FR), W535(PT), W104(NL), W108X(SP), W84X(SP), W143X(NL), W144X(NL), A1435S(UK), AL9(UK), AL109(AUS), AB63(AG), AB63(SP), AL109(K)220-60, AB64(AG), W64(IT), W84XS(SP), L548(IT), L648(IT), WG420P(RA), W103(NL), W105(NL), W630(FR), W115(FR), W524(PT), W634(PT), W144XS(NL), W63(TK), W165X(NL), WE16X(NL), W43(AG), W53T(EX), W6(EX), W165TX(EX), W432S(IT), WE6(IT), WE8(IT), WG833TP(IT), W104(DE), W144X(DE), W145X(DE), W146X(DE), AB88D(EX), AL88D(EX), AL108D(AG), AL108D(EX), AL118D(TK), AL128D(AUS), AL108D(K)60HZ, WD84(EX), WD84T(EX), WD104T(EX), WD105T(EX), WD125T(EX), WG1432(G), WD10(UK), WD12(UK), WD11(UK), WE16(UK), WH96TX(E), W4521(E), W6521(E), W53(FR), WD12S(UK), W63X(IT)(TE), W431TX(EX)(TE), W43X(IT)(TE), W44X(IT)(TE), W642TX(EX)(TE), W543G(IT), WD86(FR), WD106(FR), WMS1200TX(UK), AL128DS(AUS), AC96B(FR), AC106B(FR), AC128L(FR), N642XPH.IT, N450XPH.IT, N432XPH.IT, N442XPH.IT, N542XPH.IT, N632XPH.IT, B642XPH.IT, B653XPH.IT, B853XPH.IT, B1053XPH.IT, B1253XPH.IT, WA1010ELEC.D, WA1012ELEC.D, WA16-1200ELEC.D, AL149X(SK), AL149SL(SK), N532XPH.P, N632XPH.P, N650XPH.P, N651XPH.P, N550XPH.P, N551XPH.P, N842XPH.EXP, ALD10(UK), ALD12(UK), ALD12S(UK), AWD10(UK), AWD12(UK), AWD12S(UK), F500XFOURLIS.GR, N432XPH.EXP, N532XPH.EXP, N632XPH.EXP, WD118(SP), N1042XPH.EXP, N432XPH.P, N450XPH.P, N842XPH.P, WG113D(UK), WDE12(UK), N532XPH.IL, N842XPH.IL, N1042XPH.UK, N1242XPH.UK, W146XS(DE), W166X(DE), W84TX(EX)(TE), N860XPH.P, B642XPH.P, B660XPH.P, B853XPH.P, B880XPH.P, B653XPH.P, B1253XPH.P, B1253XPH.IL, N1242XPH.EXP, AB88D(AG), AB80D(AG), B1253XPH.UK, B1253XPH.EXP, W646XS(PT), W857XS(PT), AD1200(IT), B642XPH.EXP, B653XPH.EXP, B853XPH.EXP, B1053XPH.EXP, WE8X(EO), LWM600XFOURLIS.GR, LMW1000XFOURLIS.GR, B1053XPH.UK, WG1130D(UK), B1053XBENDIX.AUS, B1253XBENDIX.AUS, AD1600(IT), AC80L(IT), AC120L(IT), N632XPH.HK, N842XPH.HK, W123(UK)(BG), WA6X(IT), WA8X(IT), WA10X(IT), WES9X(R), WA8XS(IT), WE8X(R), WE105X(R), LBE12X, LBE6X, LBE8X, AB66X(IT), ST100XTHOR.AUS, A1635(UK), W143S(UK), BF853XBENDIX.F, W105TX(R)(BG), AL65(PT), AB107(PT), AB103(TK), WE16(DE), WD125TS(EX), WE14S(UK), WE16S(UK), LBE12X(UK), AD1600PXU(IT), AD1200(TK), WTK605TECNOTEK.IL, CDE12X, CDE12X(UK), WDE12X, WD12X(UK), SGE12X(UK), AL102P(FR), F400XFOURLIS.GR, W41(SP), W43(SP), W51(SP), W143(UK), AB52(PT), W84TX(EX)(BG), WD105T(EX)220-60, WA6(PT), WA8(PT), WA10(PT), LNA855(FR), W85(FR), W105(FR), WP67(EX), WP41(IT), WP42(IT), WP62(EX), WP100(EX), AD1000(EX), AB104(IT), W431TX(EX)(BG), W642TX(EX)(BG), W101(UK), W120(EU). 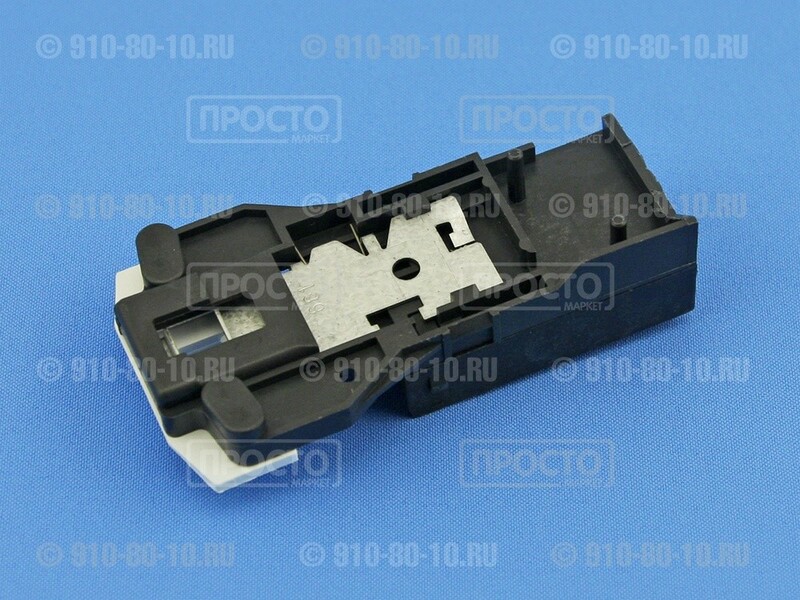 В нашем интернет-магазине вы можете купить «Замок люка (УБЛ) стиральных машин Indesit, Ariston, Whirlpool (C00011140)», и получить его наиболее удобным для вас способом: в пункте самовывоза, заказав курьерскую доставку по Санкт-Петербургу или доставку по России. 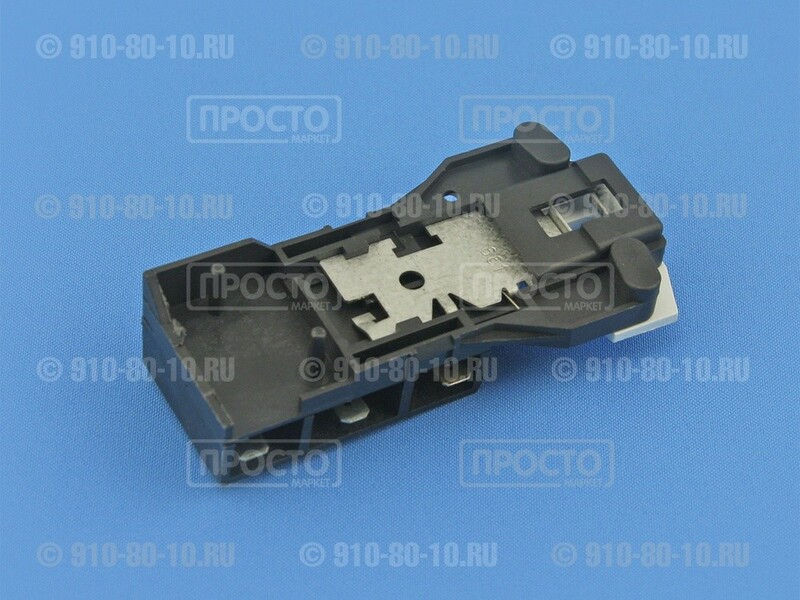 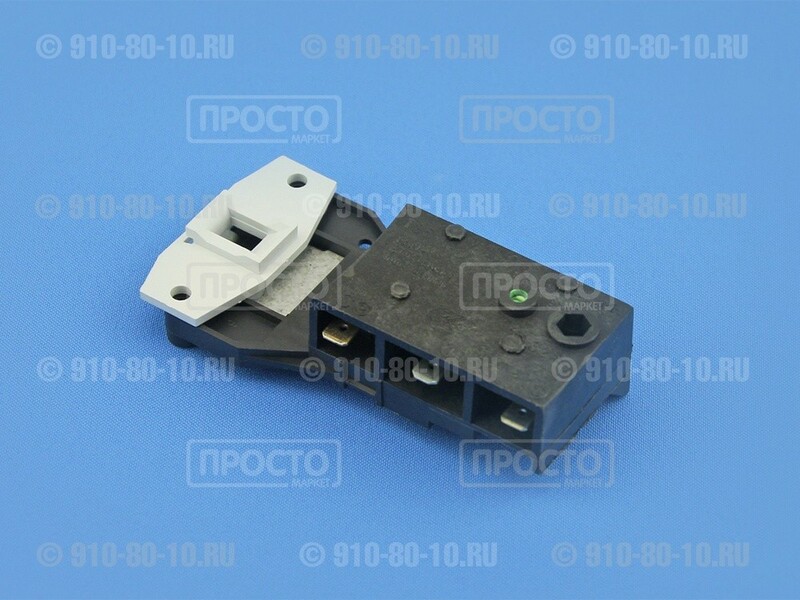 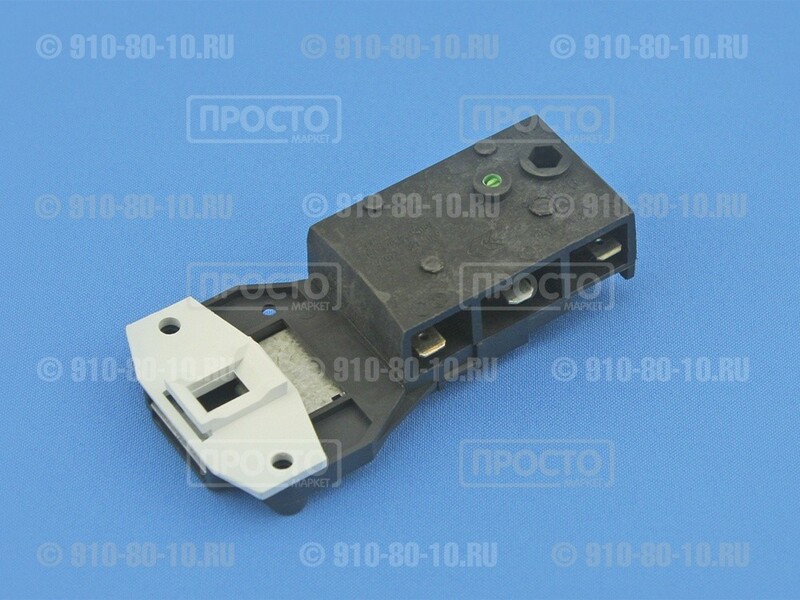 Купить «Замок люка (УБЛ) стиральных машин Indesit, Ariston, Whirlpool (C00011140)» в Санкт-Петербурге, узнать цену, описание, техничесие характеристики, посмотреть фото вы можете в нашем интернет-магазине.